Buyers suggest ABC has been seeking between $850,000 and $950,000 for an ad berth. ABC executives declined to comment. During last year’s upfront, a 30-second spot for “Lost” was selling for an average of $213,563, according to Advertising Age’s annual survey of ad costs in prime-time broadcast shows. At $900,000 a spot, ABC is clearing a markup north of 400% from advertisers who didn’t reserve their time in the show last year. 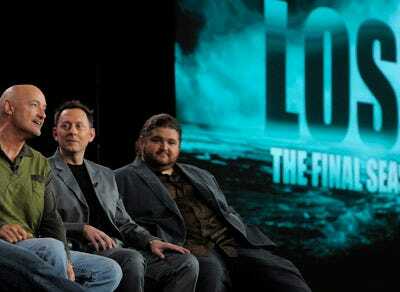 The series finale of “Lost” is slated to air as part of a three-hour block on Sunday, May 23. The 8 p.m. hour of the evening will be devoted to a recap of the mysterious show and the last episode will run from 9 p.m. to 11 p.m. The hefty cost — the price is just $400,000 to $600,000 less than the cost of a 30-second spot in this year’s Oscars broadcast — further illustrates the interest advertisers have in so-called event programming. With audiences increasingly watching TV programs at times of their own choosing and through nontraditional methods such as DVR playback, assembling a large crowd has become a much tougher task. And yet, many advertisers need to reach millions of people to make their cash registers ring. With ratings for such “must-watch” events as ABC’s Oscars broadcast and CBS’s recent Super Bowl telecast continuing to bring in larger-than-usual audiences, marketers seem willing to pay a higher-than-normal sum to advertise, given today’s fractured media landscape. “Lost” is unusual in its success. The six-season drama centres on a group of people seemingly marooned on an island, only to find themselves caught in the middle of a battle between forces they don’t quite understand. Such complexity is often not welcomed by audiences who seek programs they can watch one week but skip the next, and any number of “Lost” knockoffs — “The Nine,” “Vanished,” “Kidnapped” — have fallen by the wayside in recent seasons. ABC also once had high hopes for this season’s “Flash Forward,” in which FBI agents try to solve a mysterious event, but ratings for the program have steadily declined. Yet those viewers who hang on for the ride these programs offer are particularly devoted, and advertisers often hope to win over crowds with an unusual amount of interest in a particular show. Last week, “Lost” snared nearly 8.8 million viewers, according to Nielsen, second only to Fox’s airing of “American Idol” on Tuesday evening. At $900,000, a spot on the last episode of “Lost” would cost more than any of the 10 most-expensive programs on TV for advertisers, according to Ad Age’s survey of prices paid in last year’s upfront. The costliest program for the 2009-2010 TV season was NBC’s “Sunday Night Football,” where a 30-second spot cost an average of $339,700. Advertisers and TV fans are also waiting to see if Fox’s “24” will be renewed for another season. The show’s possible cancellation has been the subject of much discussion, though Fox has made no public pronouncement on the spy drama’s fate. A 30-second spot in “24” was going for between $200,000 and $280,000 during upfront negotiations, according to media buyers.